To avoid spoilers I have cut down the blurb, it is courtesy of Goodreads website but I have also written some of it in my own words. There is a lot more to this plot than the below description, it sounds cliche but it really is full of twists. DI Nikki Galena’s friend Helen Brook is involved in a serious accident where she is trapped in a collapsed cellar. After her hard-won recovery, Helen is still getting flashbacks to a man she says was down there with her and who confessed to a murder. But no trace of this man can be found. Helen believes she is being stalker by this mystery man but can she get anyone to believe her before it's too late. 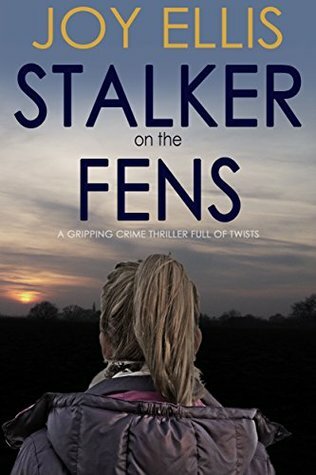 This is book number 5 in the DI Nikki Galena series and I enjoyed it so much I am on the "Wait List" for Crime on the Fens which is the first book in the series. I will be completely honest it was the title that attracted me to this book, no not the stalker part, the fens part. Although the town of Greenborough is ficticious there are a few places mentioned that I am familiar with which obviously helped bring the story to life. The fens has flat fields that go on for miles and skies so big you feel like the size of a borrower! They reach across Lincolnshire (which is where the author lives), Cambridgeshire, Norfolk and Suffolk (my home county). However this is no cosy murder mystery this is gritty and sinster, perfect for those that love a good crime thriller. Henrietta Meire, the narrator, gives each character it's own voice, and I found her very easy to listen to.